Make maintenance hassle a thing of the past with easy to use timber tilt and turn windows – the ideal solution for cleaning, ventilation and safety. Timber is a naturally aesthetically pleasing material – it’s no wonder it has been used in the manufacture of windows for centuries. Today, Keepout make it easy to combine its authentic style with modern performance benefits. Tilt and turn windows can be opened slightly at the top, or opened completely via side hinges. This means that exterior glazing can be cleaned from the inside without the need for ladders or dangerous leaning – a factor ideal for anyone who lives in a property that is more than one storey high. If you have a young family, wooden tilt and turn windows can enhance safety – open the top of the window and it completely removes the worry of children playing beside it or falling out. Why choose timber tilt & turn windows? By opening the top of the tilt and turn window, you can ventilate living spaces without letting out too much heat. This is particularly suitable for flats or older homes that are prone to damp or condensation – ventilate your property without leaving windows wide open to thieves, and without getting too cold in the process, especially in winter months. 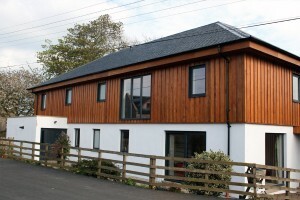 Keepout can manufacture and install timber tilt and turn windows uniquely tailored to your home. Choose sizes, colours and additional accessories. Our team make it easy for you to gain stylish wooden tilt and turn windows that are pleasing to the eye, but also those that will offer performance benefits for years to come – timber lasts at least 60 years and as much as a century. Timber tilt and turn windows are therefore a significant investment to make. Their naturally insulating capabilities means that you will soon start earning the money back on reduced heating bills. Fitted by our expert team of installers, wooden tilt and turn windows are even more likely to save you maintenance hassle and money, for decades to come. We can supply timber windows in a range of RAL colours allowing you to achieve the perfect match for your home. All of our timber products go through a four stage finishing process to ensure a smooth, long-lasting finish. We also have a range of hardware options in a selection of colour options to suit your new windows. For more information or advice about colour options for any of our products contact Keepout today.